For 30 years, J.D. Power has conducted the annual Vehicle Dependability Study (VDS). The study asks original owners of 3-year-old vehicles what has gone right and what has gone wrong during the prior 12 months. This information is collected and analyzed, and the conclusions are published in the VDS. Based on this data, J.D. Power creates Vehicle Dependability ratings. Expressed on a 10-point scale, these ratings quickly summarize a vehicle’s performance in the study, and serve as a way for consumers to quickly assess and understand how dependable a given make and model might be. Consumers can also use the ratings to compare vehicles when trying to decide which one to buy. This guide contains the most dependable 2016 model-year luxury cars that cost more than $45,000 as new vehicles today. Each of them receives a score of 9 or 10 on a 10-point scale, and they are listed in alphabetical order. Available as a coupe or a convertible, the 2016 Audi A5 came in Premium and Premium Plus trim, with standard S-Line styling. The S-Line treatment was a new standard feature for 2016, and Audi also dropped the high-end Prestige trim level that year. Every A5 came with a turbocharged 4-cylinder engine and Quattro all-wheel drive. The Audi S5 added power and performance, courtesy of a 333-hp supercharged V6 engine. It got a high-end audio system as standard equipment for 2016. The top-of-the-line RS 5 model, a highly potent performance coupe featuring a 450-hp 4.2-liter V8 engine, Quattro, and a 7-speed dual-clutch transmission, was dropped for 2016. Audi’s midsize luxury sedan, the A6, received numerous updates for the 2016 model year. The standard turbocharged 4-cylinder engine got a power bump to 252 hp, and its CVT was swapped out for a new automated manual transmission. Meanwhile, the available supercharged V6 delivered 333 hp, and a turbo-diesel V6 produced an impressive 428 lb.-ft. of torque. The Audi S6 performance version’s turbo V8 was pumped up to 450 hp for 2016. In other news, the 2016 A6/S6 lineup benefitted from minor styling updates, an improved infotainment system, upgraded Wi-Fi connectivity, and additional USB ports. The 2016 Audi A6 receives a Vehicle Dependability score of 9 out of 10. Take the Audi A6, add a faster roofline and hatchback access to the trunk, and you’ve got the Audi A7. Its standard supercharged V6 made more power for 2016, for a total of 333 horses. The Audi S7’s turbocharged V8 also got a bump to 450 hp, while the downright ballistic Audi RS 7 stuck with its 560 hp rating because, well, that’s enough. Each A7 variant received updated styling for the 2016 model year, along with an upgraded infotainment system with a better Wi-Fi connection and more USB ports. The A7 added standard equipment and available massaging front seats, the S7 gained a new Sport Package, while the RS 7 received standard variable-ratio steering. The 2016 Audi A7 receives a Vehicle Dependability score of 9 out of 10. When you buy a BMW 4 Series, you need to decide whether or not you want a coupe, a convertible, or a rakish 5-door hatchback that the automaker calls a Gran Coupe. Then, you pick between a turbocharged 4-cylinder, a turbocharged 6-cylinder, or the even more powerful turbo six in the M4. Various transmissions are offered (depending on the engine), and BMW’s xDrive AWD system is also available. All versions gained additional standard equipment for 2016, and for all but the M4 new Luxury and M Sport trim packages debuted, a Track Handling Package was a new upgrade, and the semi-autonomous parking assist technology added perpendicular spaces to its repertoire. In 2016, BMW was readying a redesigned 5 Series to replace this version of its midsize luxury sport sedan. Therefore, changes were limited to revisions to the standard and available equipment lists. 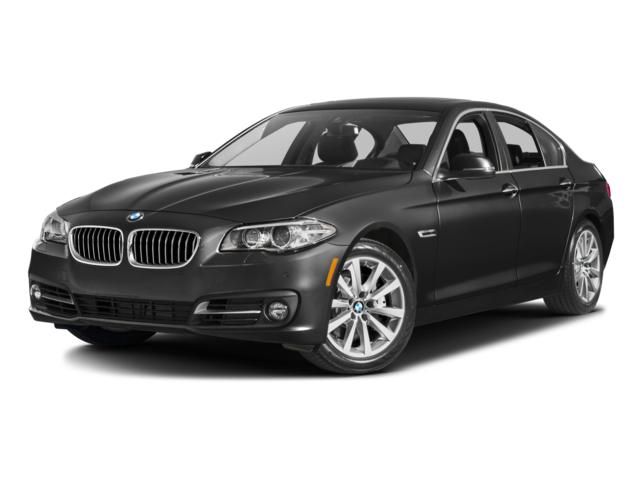 Available with turbocharged 4-cylinder, 6-cylinder, and 8-cylinder engines, mostly gas but including one diesel, the 2016 BMW 5 Series used an 8-speed automatic transmission to power the rear or all four wheels. Then there was the BMW M5, featuring a twin-turbocharged V8 cranking out as much as 575 hp. The 2016 BMW 5 Series receives a Vehicle Dependability score of 10 out of 10, and receives an award in the Compact Premium Car category. In its final year before a redesign, the Mercedes-Benz E-Class came in 2-door coupe and convertible, 4-door sedan, and 5-door station wagon body styles. Depending on the style, the model range ran from the E250 Bluetec diesel to the rompin’, stompin’ E63 AMG S.
For 2016, Mercedes dropped the E400 Hybrid from the E-Class lineup, and pared the AMG-ified versions to just the aforementioned S. Otherwise, no more than a handful of minor changes accompanied the lineup into its last year before an all-new E-Class arrived.